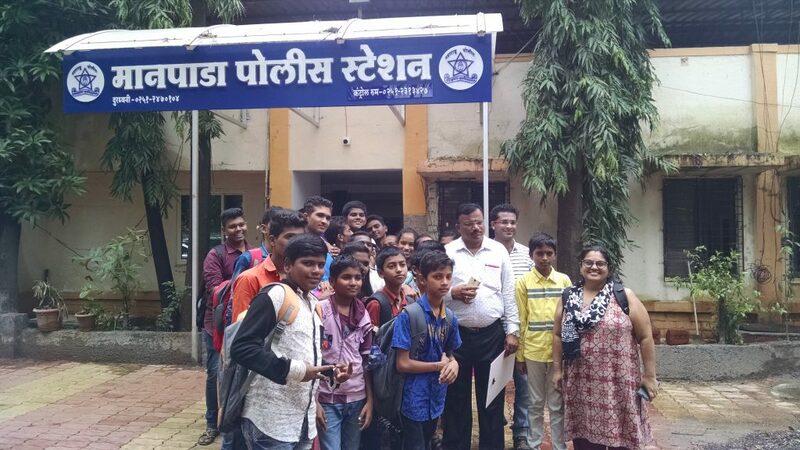 As a part of our youth leadership program in Kolegaon, a visit of 26 youth was organised with the Manpada Police station in Kalyan. The visit was for exploring the police as a system that is an important and responsible stakeholder of our democracy. 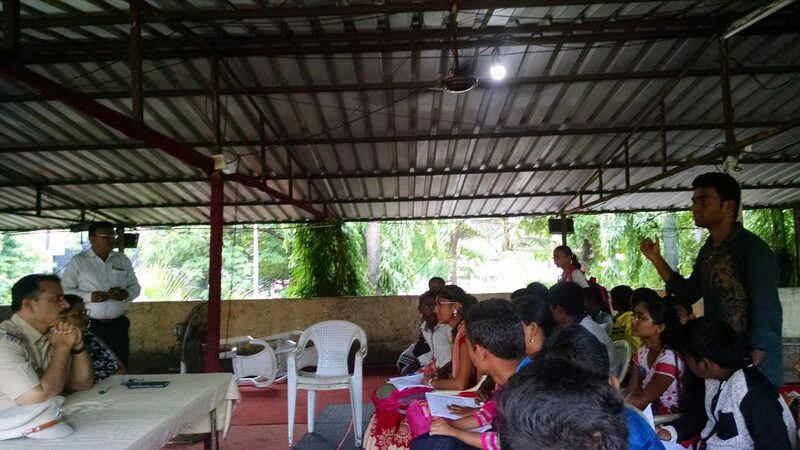 Youth had prepared questions through which they would try to understand their structure, duties, powers, etc. and more importantly, to form an understanding of the police system in relation to youth such as themselves. These questions such as “What’s your perspective towards youth rights?”, “If there is sensitive situation between religious groups or caste groups , how police deal with that and balance themselves?”,”Do you only take legal action or do you also provide counselling?”, “Do police face political, local or social pressure?”, and so on, explored the role of the police when dealing with religious minorities, dalit-bahujan, women, children and general public. The police officer answered all their queries, but after a while expressed surprise that “such young men and women were asking such deep questions”. The youth did feel some reluctance on the part of the police in answering them, but persisted in a respectful, disciplined way that showed their maturity and commitment to learn. They later expressed how they have realised that even though the police seem intimidating, they are part of a democratic framework, and people have the right to approach, seek help, and if needed, question them. 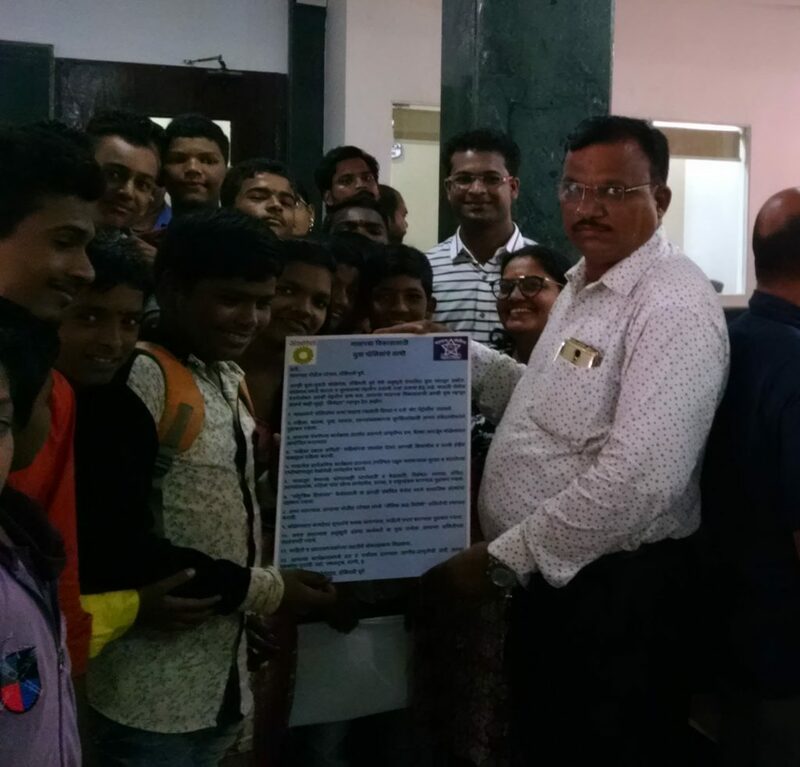 As a part of this visit, the youth- under the mentorship of Anubhuti- presented a list of recommendations (shown below) to the Manpada police station. These recommendations were written in line with existing processes that ensure a more trusting relationship between the police and the general public. Increase police presence in Kolegaon by instituting beat patrolling during the day and night. Proactively work with sensitivity towards the security of children, women, youth, persons with disability, and marginalised communities. Be present at public events in Kolegaon from time to time and guide members of the area on safety and peace. Take initiative in giving guidance, advice and counseling to the concerned in the case of any untoward event especially when it involves marginalised, deprived and minority communities, and women. Invite participation of civil society organisations in domestic violence and related cases. Form ‘Anti-Sexual Harassment Committee’ in your workplace, if currently not present. Promote awareness building on legal matters such as by installation of posters, banners, etc. in Kolegaon. Include Anubhuti Trust team and youth of Kolegaon as members on your committees, if possible. Promote people’s participation in your processes with the help of information and broadcast media. 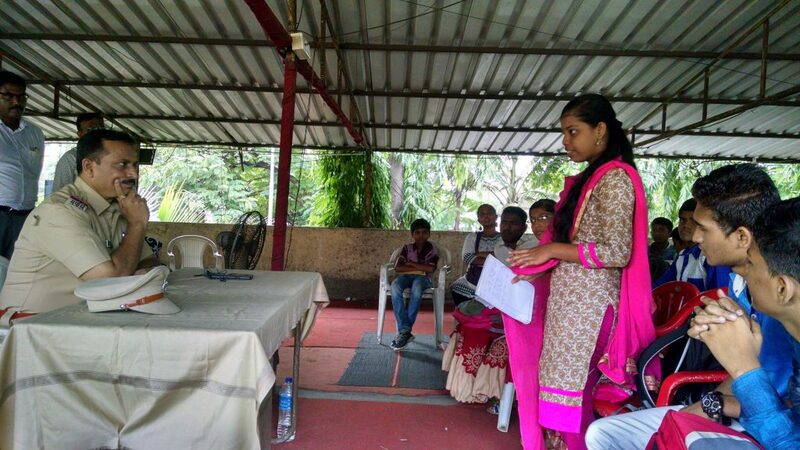 Give opportunity to us youth to present in your programs such as in meetings and discussions; eg. through street plays, songs, etc.